The installation is a fusion of lunar imagery, moonlight and surround-sound composition created by BAFTA and Ivor Novello award-winning composer Dan Jones. 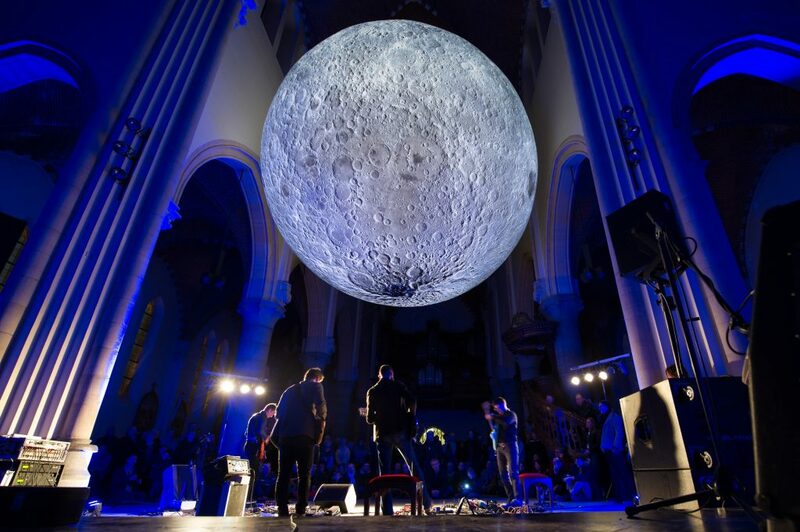 Each venue also programmes their own series lunar inspired events beneath the moon. Luke Jerram’s multidisciplinary practice involves the creation of sculptures, installations and live arts projects. Living in the UK but working internationally for 19 years, Jerram has created a number of extraordinary art projects which have excited and inspired people around the globe. Jerram has a set of different narratives that make up his practice which are developing in parallel with one another. He is known worldwide for his large-scale public artworks. 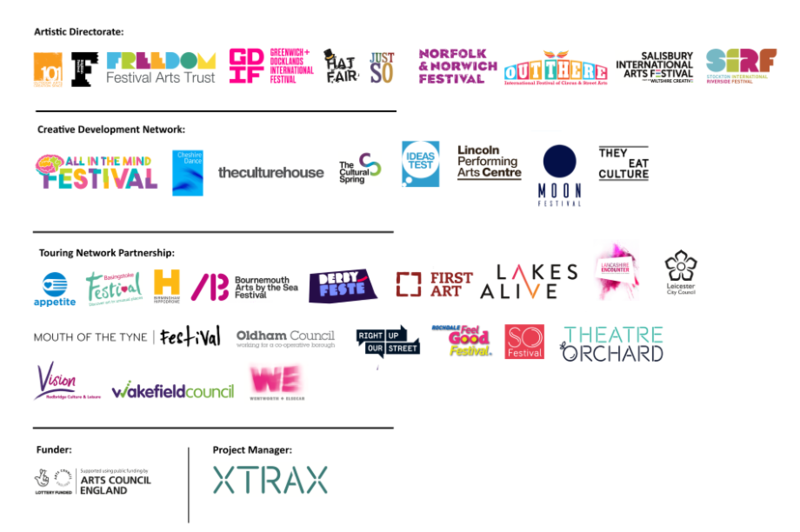 Commissioned by Brighton Festival, Greenwich+Docklands International Festival and Norfolk & Norwich Festival. Museum of the Moon by artist Luke Jerram, co-commissioned by a number of creative organisations brought together by Luke Jerram and Norfolk & Norwich Festival. These include: At-Bristol, Bristol International Balloon Fiesta, Lakes Alive, Provincial Domain Dommelhof, Brighton Festival, Greenwich+Docklands International Festival and Without Walls. The artwork has also been created in partnership with the UK Space Agency, University of Bristol and The Association for Science and Discovery Centres.